Short description: Eco-friendly technologies are especially asked for today. Conscious people are striving to preserve clean air and natural resources for future generations. 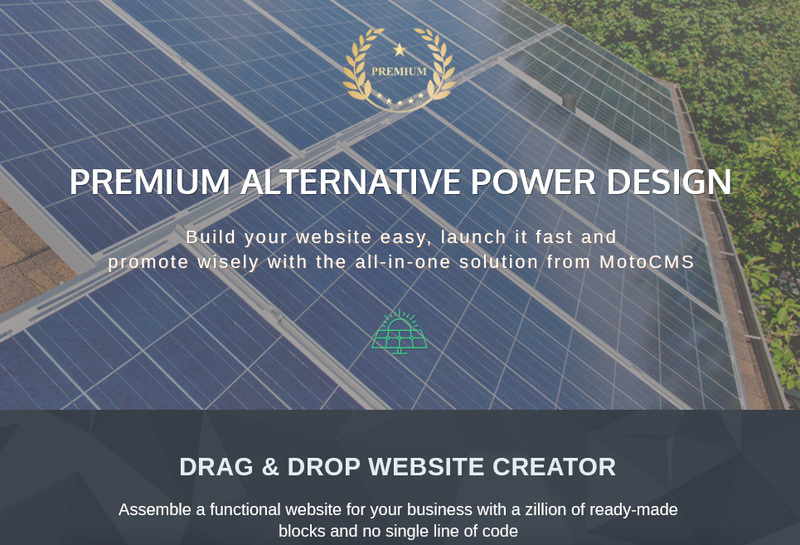 Alternative Energy Moto CMS 3 Template will help you draw public attention to your eco products and services. Use handy widgets (video widget, audio player, color picker, social media, photo galleries, etc.) to build a captivating online photography portfolio. 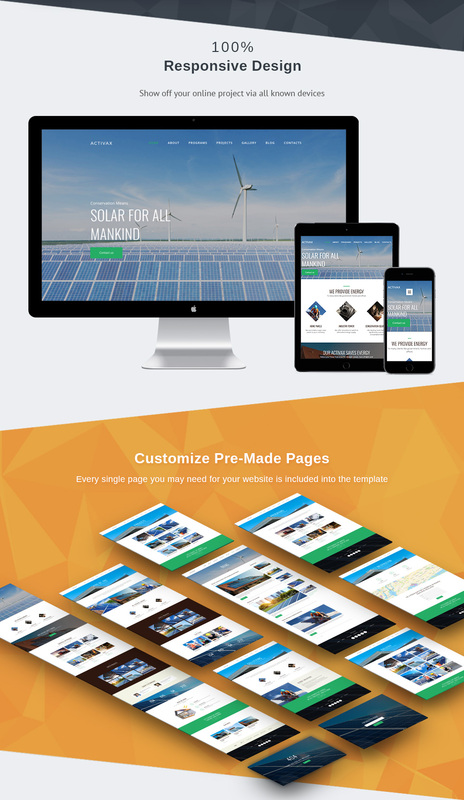 Edit the appearance of widgets with a wide range of made-up presets. The template is packed with Google Fonts, so you will be able to create appealing typography for your website with a vast collection of text styles. We used Font Icons at this template design, which means that you can create your original project with icons in different sizes and colors and adjust these graphic elements without loss of quality to make sure your design looks perfect on high-resolution displays. A good investment, yea?